When visitors, page views, as well as sales drop, you can be sure speeding up your WordPress website is one of the first items to check. As of July 2018, Google’s algorithms will count fast load times toward ranking. Our Dallas based SEO Consultants consider website speed one of the most important UX and ranking factors. Speeding up your WordPress site is not always as simple matter installing a plug-in. It’s more a combination of optimizing resources, underperforming WordPress plug-ins, types of hosting, controlling ping-backs and more — these slow down a website. Since speed is a WordPress website owner’s friend, the utmost speed is essential. Studies have shown fast loading times increase conversions. A recent study saw the ratio between every seconds’ speed increase meant two percent conversions. Mozilla pared two seconds from their load time, which netted them 60 million conversions. These facts might lead a website owner to ask what the big deal is about speeding up your WordPress site. As noted, WordPress site owners have almost no time to catch a viewer’s attention with an eye to keeping it. Fewer page views aren’t good. Unsatisfactory user experience is terrible for sales. The kiss of death is major search engines like Google bumping a site lower due to slow page load time. A KISSmetrics study tells us 40 percent of visitors will leave a site loading too slowly. Website owners should know how slow is too slow. Site owners will be astounded to understand one second could turn the tables. Studies show if a site loads one-second slower, seven percent of viewers will be lost. A site owner’s best bet is to get load time down to one second. Three is alright, but any more would be fatal. There are several free tools online for site owners to use to check the speed of their WordPress website. Good sense means to optimize your site for speed and performance since search engines like Google use speed among other things to gauge your standing. GTmetrix not only shows you how your speed is doing, but it also gives you a video showing where your trouble areas are located. Dotcom-Monitor Website Speed Test is a suite of tools testing website speed, server performance plus a whole lot more. The tool checks your website from 24 different places around the globe. Dotcom Speed Test even tests from China along with other hard-to-reach areas. The test uses many types of browser such as Google Chrome, IE, Firefox, and others. The report highlights the slowest performing portion of your website with an eye to improving. In the beginning, there was cheap affordable hosting. Site owners used it thinking it was good. However, down the line, traffic was being re-directed. Sales were lost. Site speed was down. What happened was the hosting server couldn’t handle all that traffic. Other sites hosted on the same server caught the overflow. No memo, no email, no phone call was offered. It was just gone. The moral of the story is to pay for the more expensive hosting server. It may cost you between $30 and $45 per month, but what is your traffic plus sales worth to you? We’re going to keep it simple. This means we’ll only discuss three significant types of hosting provider. These are shared hosting, free web hosting, as well as dedicated web hosting. Many website owners go with free hosting for obvious reasons. When their site slows down, owners don’t seem to understand other sites on the server is slowing theirs down. Free sites like Wix, Weebly, and Zoho are ok for your first website. Use them, by all means, if you can’t afford better. Upgrade, though, before they slow your site. Shared hosting is much like free hosting with many websites sharing the same server. A few are GreenGeeks, SiteGround, and WPEngine. Shared servers get your attention by offering unlimited bandwidth or inexpensive plans. Occurrences to watch out for with shared hosting include when other sites on the server are tagged as spam or something bad. Your site is tarred with the same brush. Also, your account is suspended when you have too many resources such as CPU or RAM. Next is the dedicated server. The only files on the server are yours. There are fewer limitations. WordPress site owners with high traffic will appreciate the uses of a dedicated server. Perhaps website owners would benefit from knowing how a site or page is brought up. You type in a link or click on a link. The browser then searches for the server hosting this link. The file is taken out of the filing cabinet or server. The server delivers the file requested. However, most sites contain graphics as well as videos. The browser reads the site for these. These must be requested using different languages. Browsers ask, and servers will deliver. Now the browser begins to build the webpage. The language isn’t important right now, but the browser has a pathway to take to create the webpage for you to see. This is where the browser recognizes the size of the screen on which to build the webpage. All of this is done inside one to three seconds. If the website owner’s hosting server is in, as we jokingly said, Siberia, then it will take longer for Jane Doe to download your site onto her phone. You lost a sale. If your most significant slice of the demographics is in the States, then your hosting server should be as well. Alternatively, if your main customer base is in Asia, then an overseas hosting server would be a better idea. Everyone wants an eye-catching website home page. Viewers want to see a snappy, well-put-together webpage. Following the choice of website names, your WordPress theme is the second most important consideration. Thousands of free WordPress themes are available all over the Web. WordPress themes with pictures, archives, in addition to multiple pages with graphics or videos, however, will slow down a website. Themes including features or pages you never use slow your website. Site owners should choose a simple, well-coded theme. Running the potential web page through a speed checker is a good idea. How will site owners know if their WordPress theme is well-coded? The first rule is to get the theme from a reputable coder such as WordPress. You can be sure the theme will be well-coded, tested for quality, as well as containing no malicious code. A few examples of good coders are StudioPress, Elegant Themes, in addition to iThemes. Run a Google check on theme companies’ reputation and quality. If you read a lot of “scam” pages or bad reviews then skip them. Good companies will equally have good support features. Also, check for a blog. Companies working on capturing and keeping their viewers will not jeopardize their standing with poor quality work. Should site owners already have a WordPress theme up and running, the theme may be tested. Theme Check is an online WordPress theme checking a theme’s code to ascertain if it’s up to WordPress coding standards. Site owners may also use Virus Total to check themes for unwanted hazards like viruses and Trojans. Speaking of viruses, Exploit Scanner looks at plugins, code, as well as post and content from the theme to the commenter’s files. Merely get the plugin to run a scan, correcting what is reported as you go. Among some of the most vital WordPress plugins, you’ll ever need to speed up your website are caching plugins. A cache is a file on the browser of the person accessing your website. This file keeps the information on your website in its files. When the viewer types in your web address, the information is already there. When viewers have your information at hand, page load time is instant. The browser didn’t have to travel to the server holding your website information. The viewer thus has a good user experience, which is the name of the game. A word about static files and Gzip compression. When a viewer accesses your website, s/he has to wait while every last little feature loads. Plugins or content take time to load. Should the viewer be on a mobile device, loading will take longer. By the time it loads, your viewer is gone. Time to check on all those plugins. Identify plugins doing no good for the site, then uninstall them. If this isn’t the problem, then unplug your plugins one at a time to test the speed of the site. When the speed improves, you’ll know which plugin caused the problem. Websites with lots of pretty pictures and videos compel visitors to stay as well as buy. However, those pretty pictures plus funny videos use bandwidth the viewer might not have. Hence, slower page loading. As the saying goes, there’s an app for that, or in your case a plugin. High-resolution images up to one megabyte in size can be shrunk to JPEG or GIF size. These take up less space and bandwidth but still get the point across. Should the site owner not wish to do this manually, a plugin called Short Pixel Image may be useful. Now would be a good idea to include Lazy Load. This plugin allows images to load only when the viewer scrolls down. This saves bandwidth and load time is faster. Another method may help site owners, too. Host your videos on another site like YouTube or Vimeo. Then embed them on your own site, which looks nicer. The viewer won’t have to wait for the browser to locate the pictures or videos to load. However, there will be those who see your pictures with an eye to using them on their own sites. This takes up your bandwidth as well, which makes your load times slower. It’s called hotlinking. Site owners can stop this using these methods. When Jane Doe in the Marianas Islands accesses your website, she has to wait until the server in America loads the website. This could take over the ideal one second load time. However, if a server in Asia holds your site files, Jane can access your website in the requisite one second. A Content Delivery System makes a copy of your website, sending the file to servers worldwide. Should a viewer access your site from Russia, then the server closest to his or her IP address will load your site instantly. MaxCDN is recommended for this purpose. Computers are incredible storage for cosmic amounts of information. Likewise, your website stores every word you’ve ever written. These add up to making your site slow. WP Revisions Control is a plugin cleaning out multiple versions of your articles or blog. WP Sweep or WP-Optimize clears out your database of spam, comments, post revisions and more. 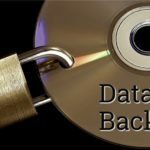 WP-DBManager allows site owners to clean out, repair, restore as well as back up their database. Optimizing your homepage to load faster is a simple matter of removing unnecessary widgets, social sharing buttons, as well as ads. Other methods of streamlining your home page include reducing the posts on the homepage in addition to displaying only summaries instead of the full post. Keep it simple. JQuery animates items on your page. It is housed on your server. Many owners aren’t aware Google hosts JQuery on its own servers. Your visitors, however, are downloading it from your server. Let Google CDN handle it. Hosting your database separately rids the site owner of one item slowing his site down. Ask your hosting provider if he supports MariaDB or PostgreSQL. They’re better than MySQL as database managers. WordPress updates are useful for increasing site’s speed. They update security, plugins, in addition to other matters. Do not put off these updates or ignore them altogether. Accelerated Mobile Pages or AMP pages are the biggest items to hit WordPress as well as mobile app developers. Pages load in milliseconds. Pages also enjoy higher rankings in search engines like Google. Do not fail to engage your mobile audience with AMP pages. Be sure to break comments into pages. Hundreds of thousands of comments make page loading slow. Go into your Settings to Discussion and press paginate. Also paginate content over 700 words, such as how-to explanations or in-depth subjects close to 1,000 words. Fonts make a website pretty, which attracts viewers. They slow down a site, though. Delete Google Web Font to do it yourself. Your viewers will thank you. When a WordPress user links to your site, say on social media or on their own WordPress blog, a pingback or trackback is sent to your WordPress site. The sites communicate this way. Disable them to prevent slow load times. One tip for speeding up your site is to size pictures before transferring them. The browser won’t use so much code, thereby speeding up the load time for viewers.